The ULTIMATE sports party experience!!! 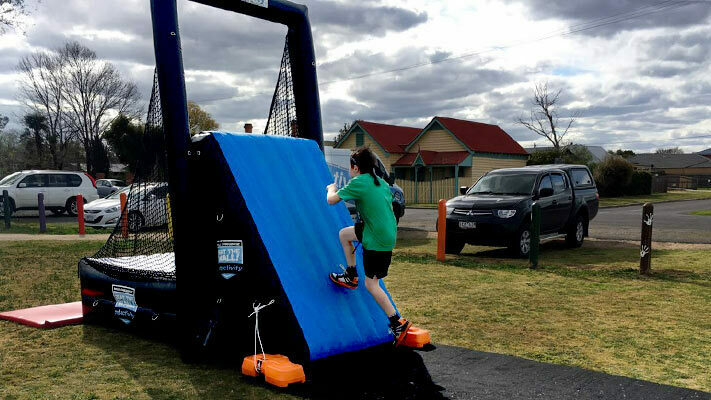 The SUPER FUN mobile Ninja Warrior obstacle course for the most energetic Ninjas! Has your child wanted the best party ever? 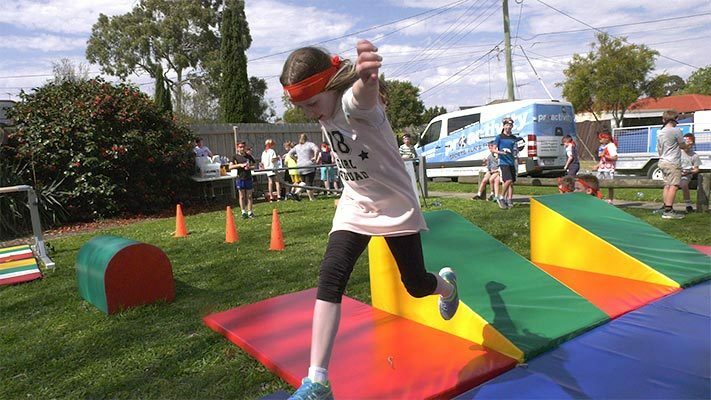 We have produced Australia's first mobile Ninja Warrior birthday party event package. All the Ninja Warrior equipment, Ninja team wear, Ninja games and activities is supplied with experienced, professional Sports Coaches. We're constantly adding new challenges and obstacles to maximise the fun! Our Ninja Warrior Party team comes to you! 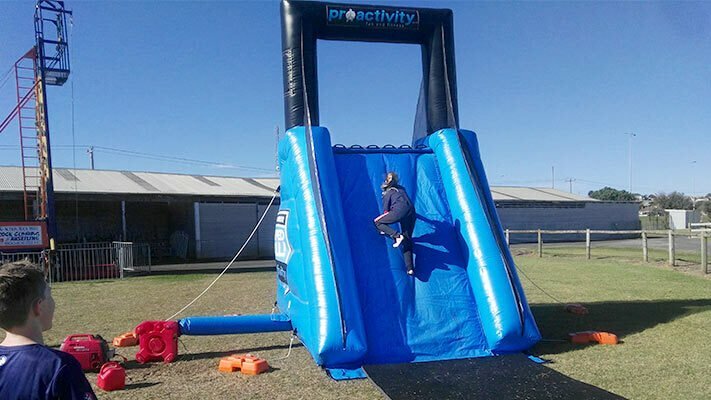 Whether it's out in a park or at your home, Proactivity's professional mobile party team supplies all equipment needed and co-ordinates all Ninja Warrior activities so you don't have to worry. We take care of you, and your kids to ensure everyone has an AMAZING time! 50% Off Ninja Warrior Head Bands! 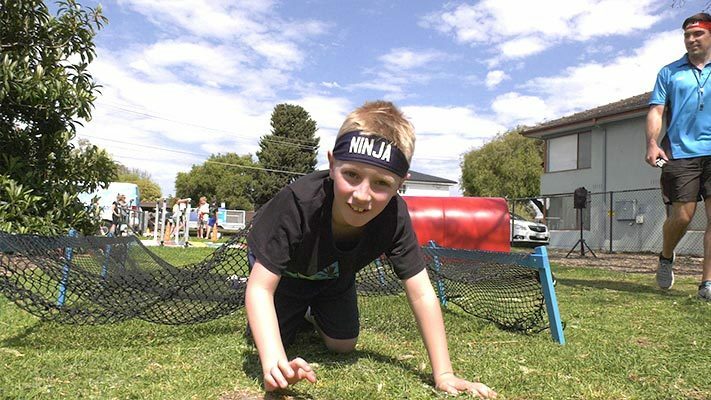 Get into the Ninja spirit with awesome Ninja Warrior Head Bands - available in both black and blue team colours! 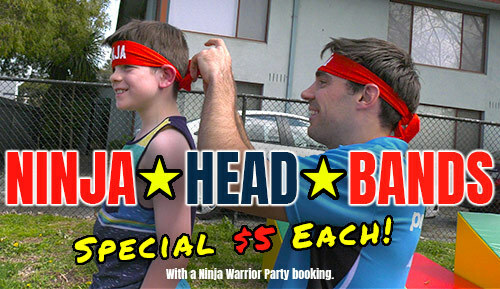 Normally sold for $10 each - we're offering a special 50% discount on kids' headbands with any Ninja Warrior Party booking! Talk to us about your next party! Ninja Warrior Party packages start from $660 including GST. 3 coaches cater for up to 30 children, at an additional cost. Interested in AFL, Basketball or Mini Olympics parties? See our other great party packages! Download our printable PDF Ninja Warrior Party invitation to use for your party!